A picture-in-picture (pip) feature usually means that two TV programs are played on one screen at the same time.This effect gives us lots of conveniences. For example, with the pip effect, the audience can watch two competitions in one screen or enjoy a TV show without miss your favorite live program. 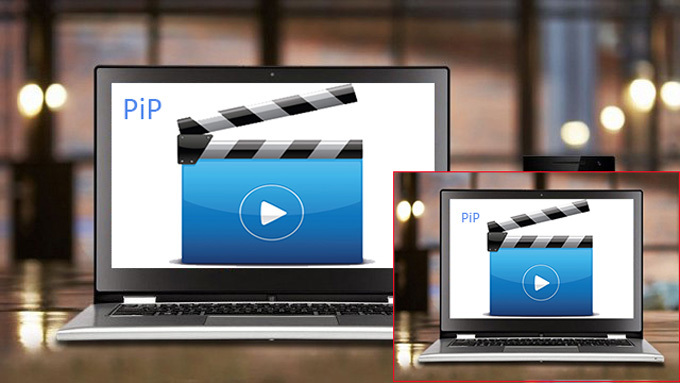 Nowadays the pip effect is more often applied in video editing and a pip video usually creates a high-quality result. In a picture-in-picture video, two pictures are displayed on one screen; one is smaller, and the other is large enough to be the background image. Although the picture-in-picture effect is advanced, it is not too difficult to do. In this post we will introduce the pip video editor to you, and offer you the step-by-step instructions to help you make a pip video. 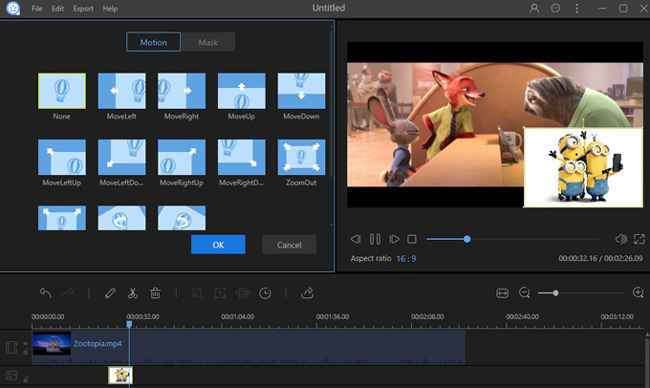 Among many video editing programs, ApowerEdit is a great one. With its clear interface and powerful functionality, it is an editing tool suitable for both beginners and seasoned users. Aside from basic video editing jobs such as cropping and adding music and pictures, you can also make advanced effects with the help of ApowerEdit. For example, you can change the text color of video within several clicks and conveniently zoom in a on video. 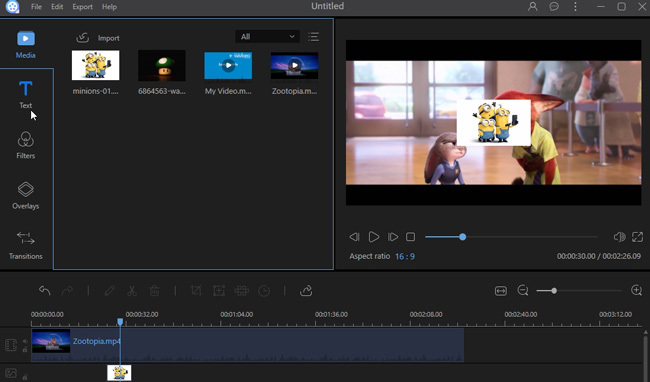 Although ApowerEdit has many functions, we will focus on how to do picture in picture video editing jobs with it. To learn how to operate this tool, you can check the instructions below. Launch the program and then import the video and picture files. 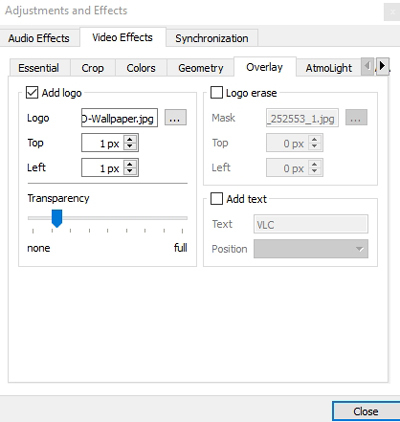 Right click the video in media library and choose “Add to Project”. Drop and drag the picture to the picture track. Right click the picture in the picture track and then choose “Edit”. Choose motion and mask for the picture. Click “Tools” in the tool bar and choose “Effects and Filters”. Check “Add logo” and then import a picture. Adjust the location and transparency of the picture. Right click the video in the play window, choose “View”> “Playlist”, right click the file in the list and choose “Save”. VSDC Free Video Editor is a powerful video editor that enables users to do not only basic editing, but also advanced editing jobs. Although it is professional and provides users with detailed lists of effects, it may make you dizzy when you have to make a choice from so much information. For example, if you want to use certain effect, you have to select one from lots of options, and most of the time you may bury yourself trying to find it. If you are looking for powerful video editing software to do picture in picture video editing, you can try VSDC. However, this is not rhe desired tool if you just want to do simple editing. Open the program and add video or photo files to the track. Click the “Add image” icon in the left toolbar. Choose a picture from your computer disk. Adjust the size and location of the picture. Click “Export this project” to export the video. Making a picture in picture video is not a difficult task. 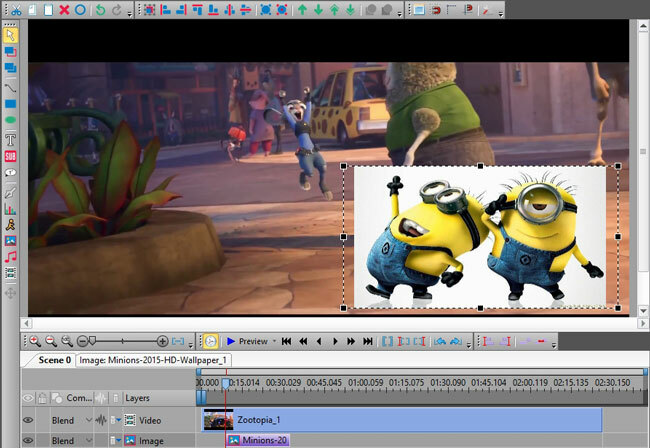 The pip video editor mentioned above are powerful enough to make a pip video. We hope you now have an idea of how to make pip effects after reading this post. It’s indeed worth it to have a try.